Have you ever tried making your own crackers? Your very own crispy, crunchy, raw multi-seeded crackers? 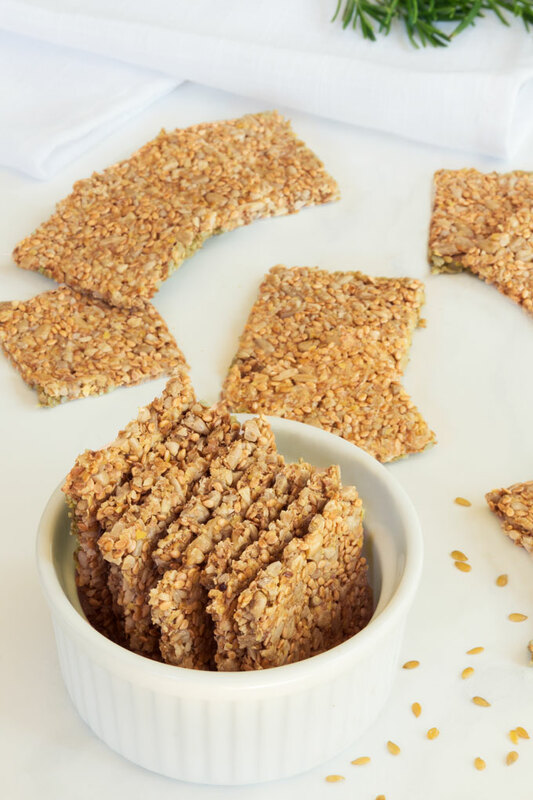 These raw multi-seeded crackers are quick, easy, and so versatile that you don’t have to get too caught up on the ingredients themselves. You can experiment with different flavors, toppings, and thickness to find your perfect combination. To be honest, I never thought of crackers as something worth making at home. The idea of preparing the dough, rolling it out, cutting it into shapes, baking it, and then doing the dishes afterwards – all for a mere pantry staple – never seemed particularly appealing to me. I mean, crackers are just crackers. You still need to make something to go with the crackers, like hummus, guacamole, salsa… And who has the energy to do that after whipping up an entire batch of crackers? Not me. While homemade crackers seem more work than they are worth, it always bothered me how processed store-bought crackers are (unless you buy them in a health food store and pay an arm and a leg for them). Store-bought crackers are often stripped down to nothing but fast-digesting starches and simple sugars, and loaded with sodium. Worse yet, they contain so many unrecognizable ingredients they might as well have been sent from a foreign planet. So, for the longest time I avoided crackers altogether. I wasn’t willing to spend hours in the kitchen just to make a pantry-staple, paying $5 for a small box was out of the question, and cheaper alternatives weren’t up to my nutritional standards. Until one a day, a friend of mine came to visit me and brought a box these beautiful raw multi-seeded crackers with her. Needless to say, they soon became my go-to recipe for crackers as well. Flax seeds are essentially a vegan “egg replacement” because they act as a binding agent, holding the crackers together. The reason they work so well is that they soak up a lot of liquid and become gelatinous. So, if you don’t use ground flax seeds, your crackers will fall apart. If you’re not a fan of flax seeds, you could use chia seeds instead. The binding properties of flax seeds and chia seeds are pretty much identical. So, it’s mostly a matter of preference which ones you choose. 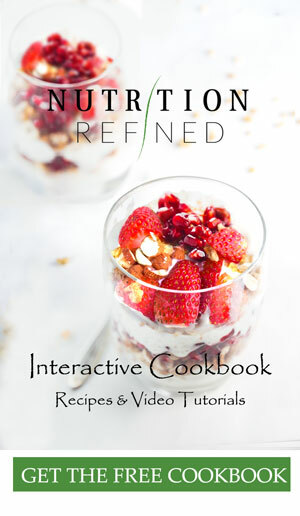 Where the difference between flax seeds and chia seeds becomes evident is flavor though. While flax seeds have a slightly nutty, earthy flavor, chia seeds are practically tasteless. The key to making these crackers work is to let them sit until they reach the right consistency. Too short, and the water will settle out of the mix once you spread it on the tray. Too long and you’ll have a hard time getting it spread thinly enough. So, just leave it for long enough so that the mix starts to hold its shape after you stir it. I like my crackers on the thinner side, about 1-2 seeds thick. Thick crackers have their place, but thin crackers dehydrate faster and have more uses. Make sure you spread the batter as evenly as possible to ensure even baking. The shape of crackers is totally up to you – squares, rectangles, diamonds . . . for best results, score the crackers 1-2 hours into drying (or 20 minutes into baking). If you score the crackers before they’re at least a bit dry, the scoring lines might disappear during the dehydrating process. 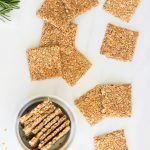 If you’re going for a more rustic look, dehydrate the whole tray until crisp, then break the crackers up in free form pieces before storing them. 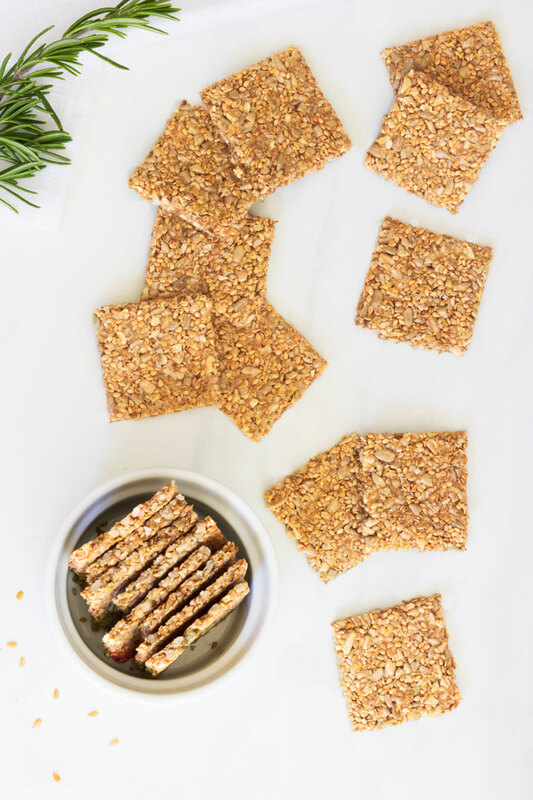 Whether you decide to dehydrate your crackers (and keep them raw) or bake them in the oven, you’ll end up with delicious crackers. Personally, I prefer the baked version. The higher oven temperature just gives the crackers more of a golden color and toastier flavor. When baking, start with a low temperature, about 300ºF (150ºC) so the crackers dry out without getting brown too early. To get a little more browning on the crackers, increase the heat to 325ºF (165ºC) after the crackers have dried sufficiently to be crisp, about 20 to 25 minutes. When your crackers are completely dry and crispy, move them onto a cooling rack so air can circulate and no condensation — the killer of crunch — takes hold. This is especially important if you’re baking the crackers. (The higher the dehydrating/baking temperature, the more condensation can form). 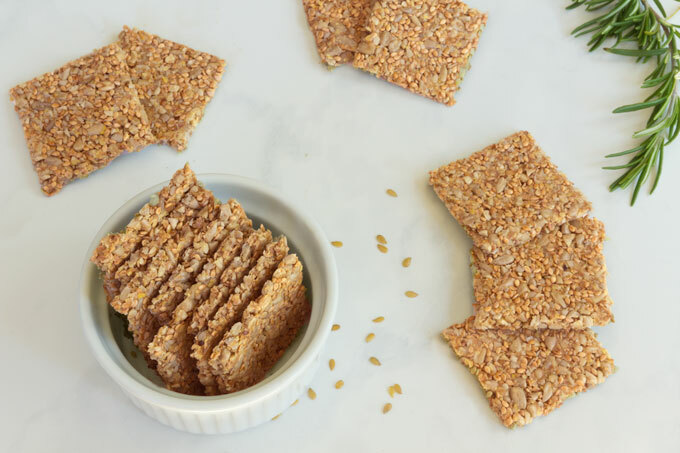 These raw multi-seeded crackers are crispy, crunchy, flaky, and so tasty. They are extremely versatile and very easy to make. Combine all the seeds in a large bowl, Add the water and salt and let the mixture sit for a few minutes, until all the water is absorbed. Dehydrating: pour the batter onto a lined tray and spread it as thinly and as evenly as possible. A spatula is great for this, but if you don’t have one, just wet your hands and kind of pat it down. Try not to leave any holes. Dehydrate at 115ºF (46ºC) for about an hour and then score the cracker into desired shapes. Put the tray back into the dehydrator and keep dehydrating until the cracker is completely dry. Baking: pour the batter onto a baking sheet lined with parchment paper and spread it as thinly and as evenly as possible. Bake at 300ºF (150ºC) for about 20 minutes and then cut the cracker into desired shapes with a knife. Once scored, carefully flip the cracker. ** Peel the parchment paper off the back and then bake for additional 20 minutes or until the edges are golden brown. Let cool completely, then break the crackers along their scored lines. Store leftover crackers in an airtight container at a room temperature for up to 2 weeks. For longer term storage, freeze in an airtight container for up to 1 month. *For raw crackers, use raw unhulled sesame seeds. Unhulled sesame seeds are very crunchy, almost hard, and taste slightly bitter. Toasted hulled sesame seeds (not raw), on the other hand, have a nutty, clean flavor. **The easiest way to flip the cracker is to slide the parchment paper from the baking sheet onto a big cutting board. Then cover the cutting board with the baking sheet and flip the cutting board over. These are a good source for additional iron during pregnancy, are they not? These are delicious! Thank you very much for the recipe. I baked mine, and my oven is not great at keeping temperature, so had to bake for 20min before flipping them and baking for 20min more. The result is yummy! Hope my 3yo daughter agrees too. She’s mad for bready things and oatcakes, so hope this would be a nice alternative for her at least some of the times. If you have a recipe for oatcakes or oat crackers that you can share, I’d be most grateful!